Global Notes: May 12 Celebrate International Students at HHH! 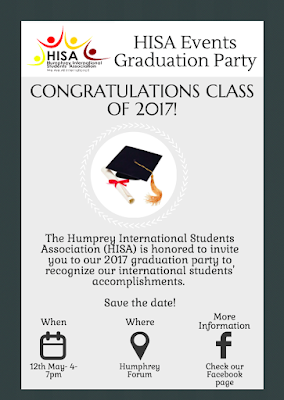 May 12 Celebrate International Students at HHH! 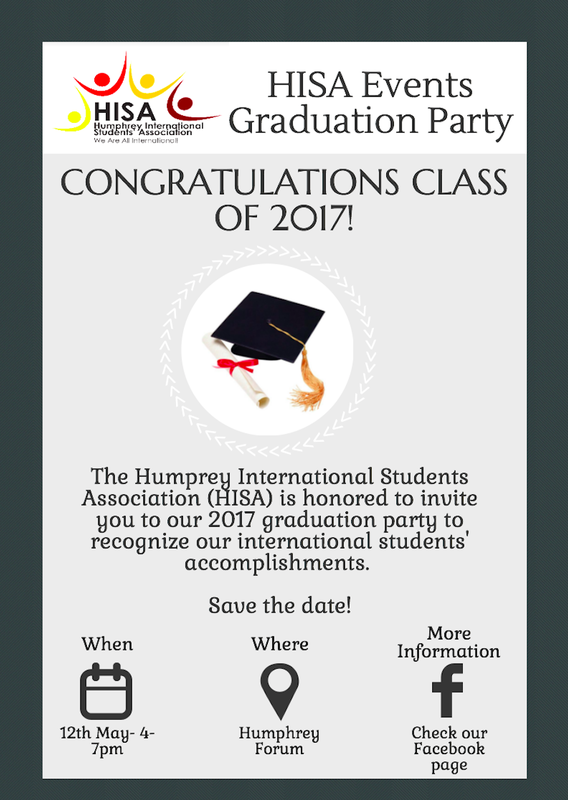 We are pleased to announce our 2017 graduation party to celebrate our international students' graduation milestone! Please RSVP to this event Here, letting us know if you plan to attend and how many guests are you planning to bring.